Jane Cross and Richard Cortez at Lark Community Center on Tuesday Nov.6, 2018, in McAllen. Democratic nominee Richard Cortez overwhelmingly beat Republican Jane Cross for Hidalgo County judge. Cortez, who stepped down from his post as McAllen commissioner to run for the county’s highest elective seat, obtained 106,745 early votes, or 72 percent of the ballots cast, according to unofficial results released by the Hidalgo County Elections Department Tuesday. Cross, a real estate businesswoman, obtained 42,331 votes, or 28 percent. Those figures are considered unofficial until the last count Nov. 14. Cortez could not be reached for comment Tuesday night. The race between both appeared lackluster compared to the March Primary Election, which pitted Cortez against former Hidalgo County Judge Eloy Pulido, who also sought the Democratic nomination. Cortez was initially criticized for running under the Democratic ticket because of his ties to the Republican Party, having previously made campaign contributions to several Republicans. Hidalgo County has long been a Democratic stronghold and races are usually predicted in the primary. Tuesday’s race proved no different. Cross, however, ran a smaller campaign than Cortez, using much of her own money and only raising a few thousand dollars. Cortez, on the other hand, raised $19,700 during the last month alone, campaign finance reports indicate. 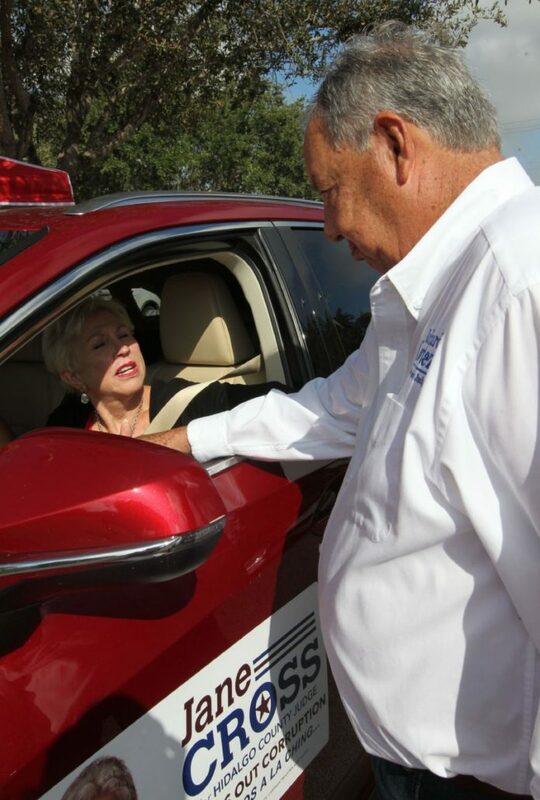 A certified public accountant, Cortez also carried name recognition and experience as a public servant, having previously served as McAllen mayor for two terms and most recently as a commissioner for District 1. On issues, Cross and Cortez didn’t appear to disagree on much. Cross made it clear she was not in favor of the location for the new county courthouse, and vowed to decrease the taxpayers’ financial burden. Cortez stayed away from criticizing any decisions made by those currently in office, and instead said he would study the issues and use his skills to curb inefficiency. When asked if she regretted her bid at county judge, Cross responded in her usual upbeat persona.